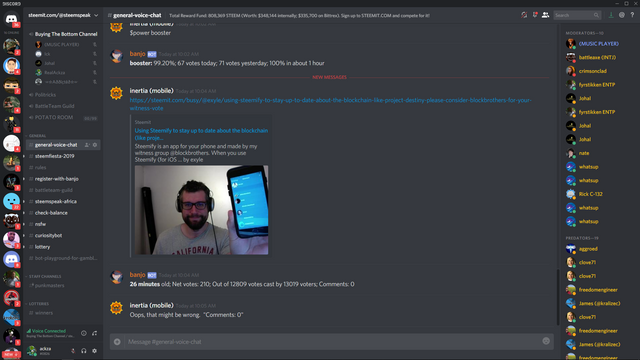 Using Steemify to stay up to date about the blockchain (like project Destiny). Please consider @blockbrothers for your witness vote.steemCreated with Sketch. Steemify is an app for your phone and made by my witness group @blockbrothers. 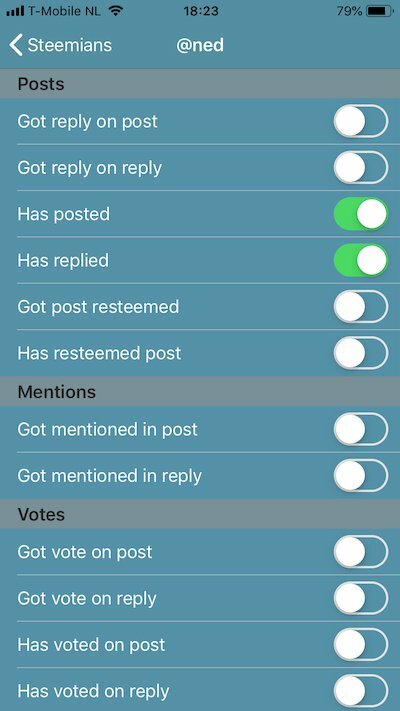 When you use Steemify (for iOS, Android = Beta) you can add more than one user to get notified about on the Steem blockchain. It's in the app store. 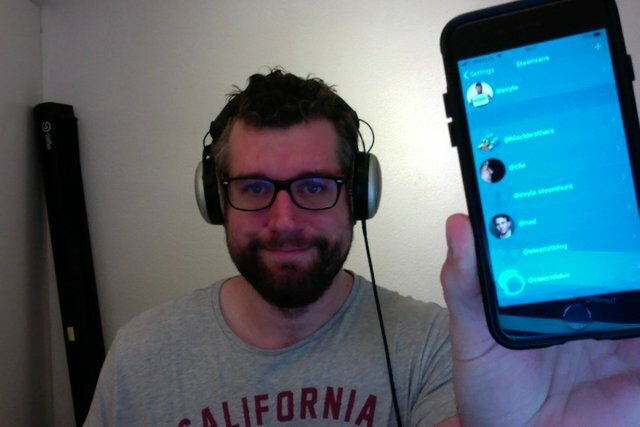 One of the people I follow on Steemify is @ned (I also follow @steemitblog, @steemitdev and my mom @clio). I don't want to know everything he does but I do like to be informed when he makes a new post or replies somewhere on the blockchain automatically (through a push notification on my phone). Like yesterday, when he replied, on this cool post by @brian-rhodes about Destiny. Without Steemify I would have missed it for sure. You can read it here below, or check out Brian's post!. Information well worth knowing! Pretty handy right! If you like to vote for a witness that not only develops but also has an active daily presence on the blockchain, I hope you guys will consider my witness @blockbrothers for a vote. Your $19 Trillion wallet is very impressive! Happy Thanksgiving from the Ozarks! Steemify (android beta) is a great app. It's on my phone home page, i find i go to it often to get the notifications i want to stay up-to-speed on. Blockbros has my meager vote. You can pick and choose what you want to be notified about. So you can use it for just important things! even having already ginabot and the notifications from partiko and steepshot? do You think it is worth it? I use it everyday, couldn't function without it. If you follow multiple accounts it's even better. Saves a lot of time. You can always try it. It's for free in the app store. I'm new here and cannot figure out how to make SteepShot work and I can't find much on google of steemit.. Any chance you could help me out? I will definitely look into this. Happy Thanksgiving from the US! thanks! I will have a look for sure! I am still learning my way around here! Thanks man! That's really cool of you! Happy Thanksgiving! Thank you for being such a wonderful friend to @ezzy and I. Happy Thanksgiving @rea! as you know the feeling is mutual! Hi @exyle, did you sent the android beta link via email? O/W please mention the link of Steemify. Thanks in advance. I can attest to how great this app is as it allows me to engage more promptly when posts and comments are replied to! This is a great addition to any Steemians phone applications! Thanks for its development! Awesome! Thanks for the cool comment! Happy Thanks <--- Giving !! They already have my vote and I was a beta tester for the app on Android. I love it! I use it every day, probably every hour as a matter of fact. It has been a great tool to add to my toolbox. I just joined and I heard about you and Steemify from @brittandjosie. Thanks for the great app!